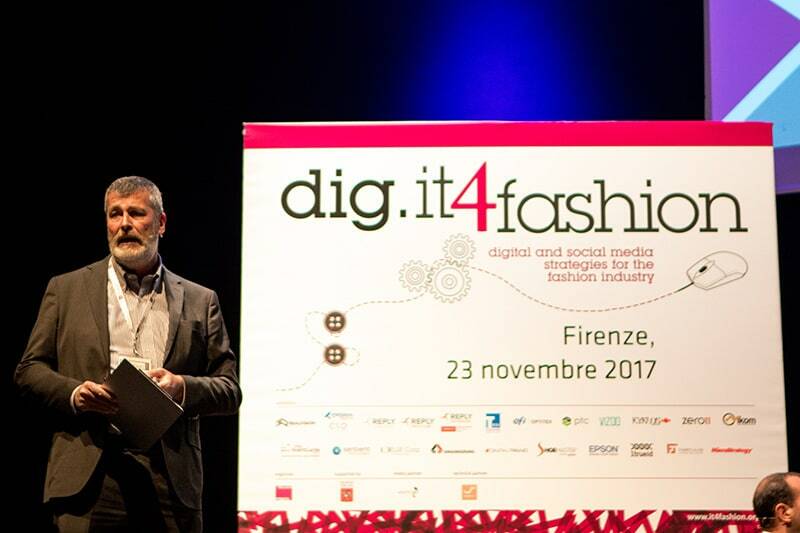 Our CEO has recently returned from Florence, where he attended and presented at Dig.IT4Fashion. Here, he presents his coverage of the event, and shares his thoughts on four roundtable panels: Enterprise 3D, Experience, Blockchain, and Data Intelligence. It isn’t often today to come across a retailer, brand or manufacturer in our industry who doesn’t have a digital roadmap in their sights – defined or under way. 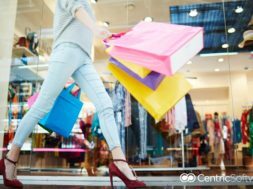 The speed at which fashion (and, any other industry today) is moving necessitates this strategic approach; consumer experience (often going hand-in-hand with consumer expectation), environmental and ethical trading, combined with a whole host of other factors are spurring on technological advancements. And, vice versa. We’re caught in a spin cycle: technology keeping up with the industry, and the industry with technology. 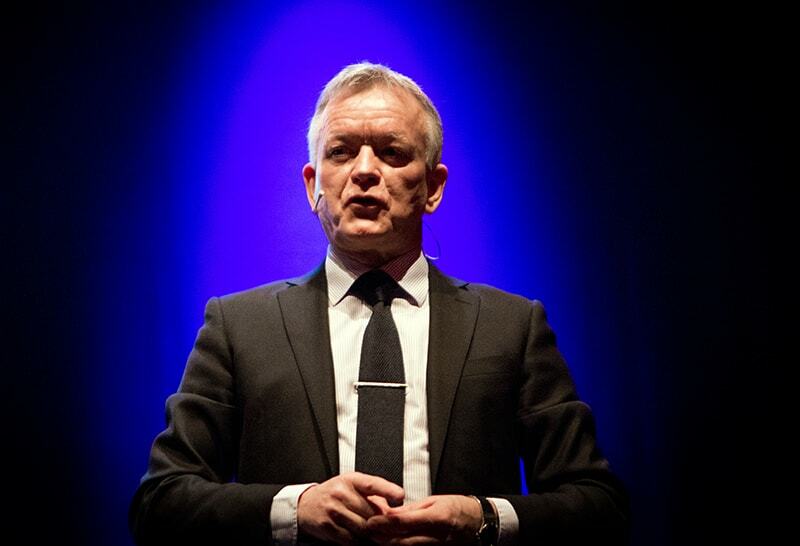 So, we all put a plan in place – a digital roadmap. And with each roadmap we find new challenges, and new technologies to discover. 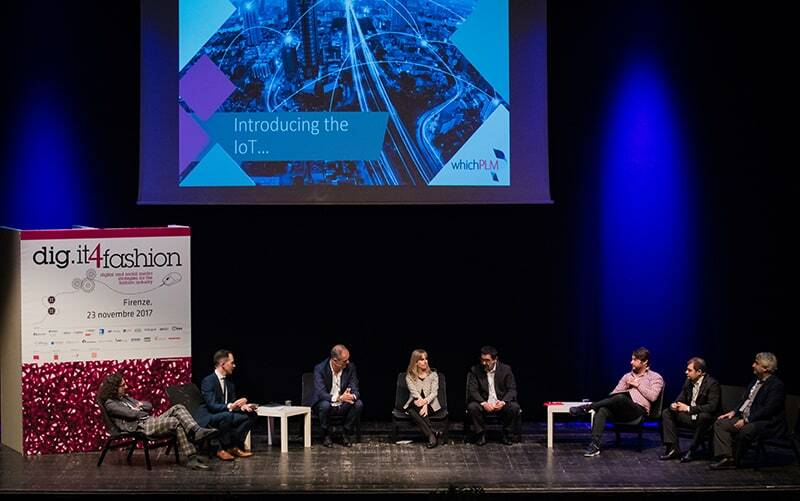 At WhichPLM, we’ve dedicated a percentage of our editorial this year to shining a light on exciting and innovative emerging technologies – returning readers will be familiar with our ‘Conversations’ series thus far – and we remain committed to keeping our community abreast of industry developments. But, we don’t work alone. We’re only one publication, after all. And that’s why we relish others, like Dig.IT4Fashion, for furthering the cause. Dig.IT4Fashion is not only a witty take on a name – it’s a one day event (or, workshop) entirely dedicated to the integration between the physical and digital retail channels, to omnichannel strategies, e-commerce, social media, customer engagement and the analysis of customer behaviour. 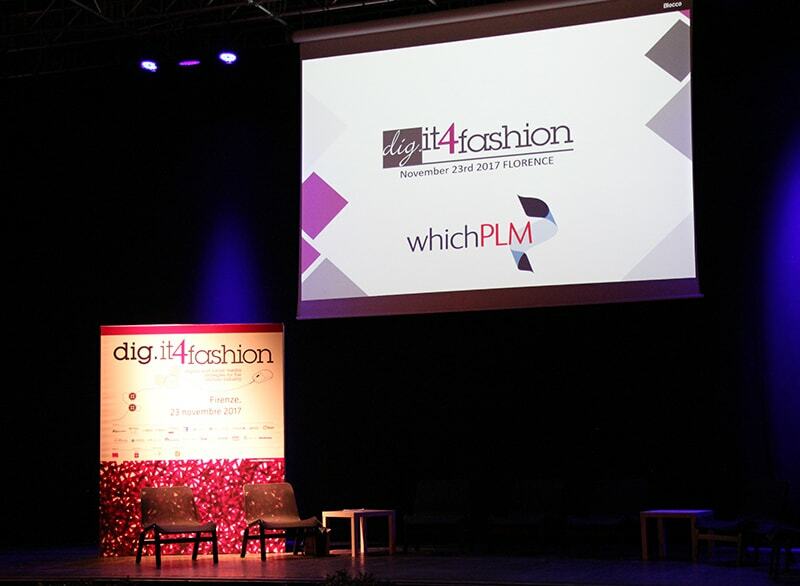 Having covered it’s sister event, IT4Fashion, earlier this year (the big show), I was delighted to be invited back to attend Dig.IT4Fashion this time – as press, media partner, and round table chairman. Held on 23rd November, Dig.IT4Fashion took place in Florence, the birthplace of the Renaissance. Here, art mixes with architecture, and the past with the future; a beautiful backdrop for innovation. The event was held in the Obihall Theatre (named Saschall until 2011), often used for concerts. Now in it’s third consecutive year, the workshop was organized following the successful format of the IT4Fashion shows (the 8th of which will take place in April 2018), and was attended by international experts of industry. 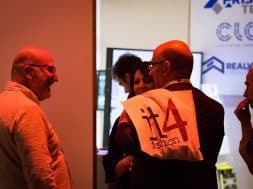 The workshop established itself in 2015, with the first conference held at the Salone Brunelleschi of Istituto degli Innocenti, where more than 240 people were in attendance, giving speeches and sharing case histories. Last year, the conference focused on the use of technology to support the strategies of digital marketing and customer engagement. 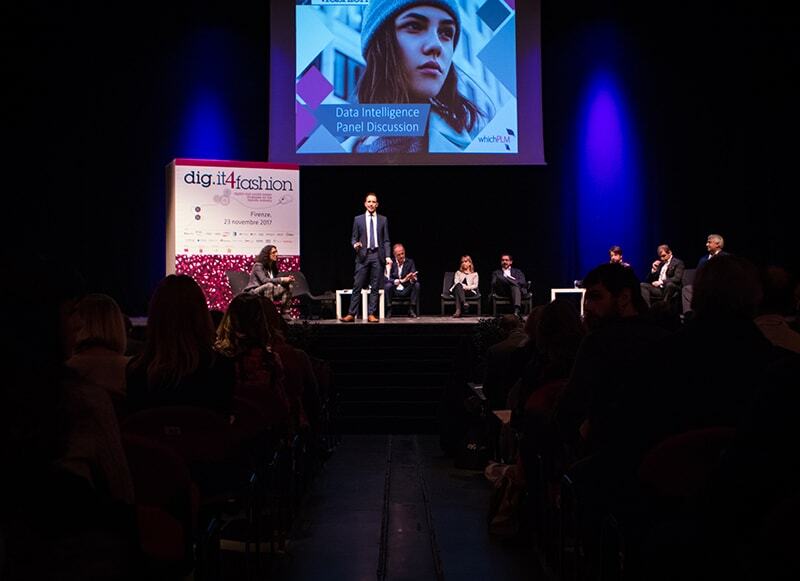 This year, Dig.IT4Fashion covered a multitude of topics, including the integration of physical and digital, social media, and customer behaviour. New for this year was the introduction of the round table, with four live panel discussions taking place: ‘Enterprise 3D’ (chaired by myself); ‘Experience’, (chaired by Giuseppe Burschtein); ‘Blockchain’ (chaired by Enrico Camerinelli); and ‘Data Intelligence’ (chaired by Ben Hanson). 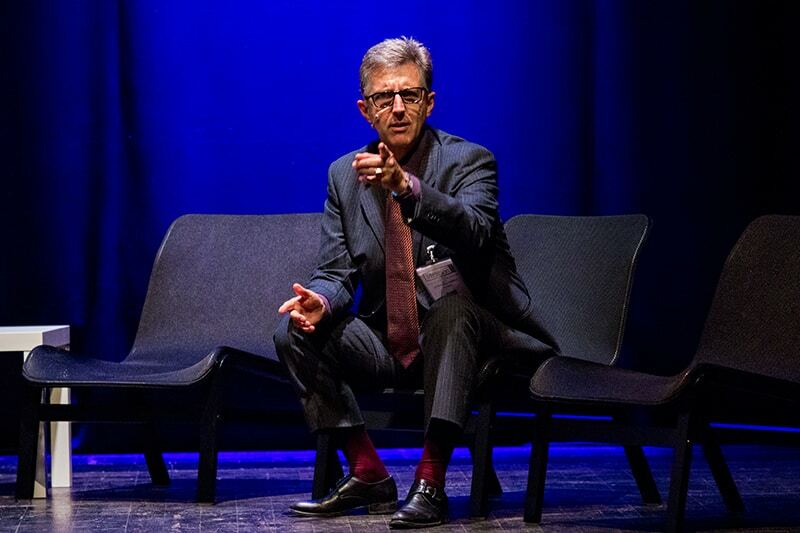 Kicking off the conference was Professor Rinaldo Rinaldi of the University of Florence, Founder of LogisLab, and Scientific Director of Dig.IT4Fashion. He opened by thanking all attendees, and sharing the success of the last conference. He explained that there are a host of fashion companies – the likes of Burberry – who are already leaders in digital advertising, digital design and product development. They are using digital as more of a customer experience and in the upstream supply chain via PLM. They are also working with a broad mix of digital products, both in store and across manufacturing plants. Companies like Coach today, stated Rinaldo, use 3D to design and develop luxury bags, working with their supply chain partners who are sharing 3D objects to ensure quality of design; high end footwear companies have been using 3D for many years and are now moving toward virtual reality as they extend the use of digital. Most companies working with luxury goods, continued Rinaldo, are using 2D and 3D CAD systems to design and prototype their latest product designs, and others have started to use their own digital printing systems to print samples of both hard goods and soft goods. And so, concluded Rinaldo, our industry is being transformed as part of the next digital wave of technology. Following on from this was the first panel debate, ‘Enterprise 3D,’ chaired by yours truly. 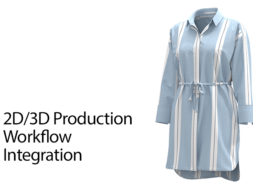 Digital 3D enterprise solutions in Fashion have now achieved a level of process maturity that makes them a ‘must have’ technology for any forward thinking retailer, brand or manufacturer. Today, these solutions are accessible and easier to use than ever before; any creative designer with a basic knowledge of fashion design and computing can create convincing true-to-life visualisations of garment styles, footwear, watches, jewellery, accessories, trims and components. 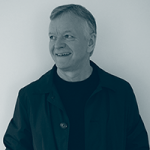 I began by discussing my own lengthy history in 3D, and the industry’s road to widespread 3D adoption, as well as why I use the phrase ‘enterprise 3D’ – as something that’s viable in many different areas of the business: design, sampling, marketing and so on. Before kicking off with the panellists, I took a moment to mention how important this event format was/is: open discussion among experts, rather than just one-sided keynote presentations. I wanted my panellists to share a little about the history and foundations of their businesses, and also wanted to challenge them on the future of their respective areas. We discussed the many challenges that early vendors and first customer adopters faced in helping to bring 3D into the mainstream technology solution stack. The panel followed the linear structure of the designer, beginning at scanning, with Renate Eder and Ian Paris. Renate Eder of Vizoo GmbH shared the initial challenges she came across when working with the adidas team in regards to scanning materials to deliver true-to-life products. Ian Paris, CTO at Shoemaster International, filled in the blanks when it comes to scanning footwear, and shared differing challenges and techniques he had come across. Renate shared her history with adidas, where she spearheaded 3D and encouraged suppliers to work that way; adidas did around 15,000 products in 3D at that time. Renate believes in the important of material scanning (of course) for feeding 3D CAD, modelling, virtualisation etc., and now works with Vizoo to extend scanning capabilities into the supply chain. Renate was proud to share that Vizoo’s capturing technology was born out of the existent need for digital materials for mass production of industrial 3D products. Looking into the future, she highlighted that the material digitization will not stay with the brand’s in-house teams as it is now, but will move along the supply chain to create a digital material representation right from the start. This will enable a drastic change of the current processes of offering, selecting and selling materials. In fact, suppliers are already asking them about how they can go about digitising their materials. 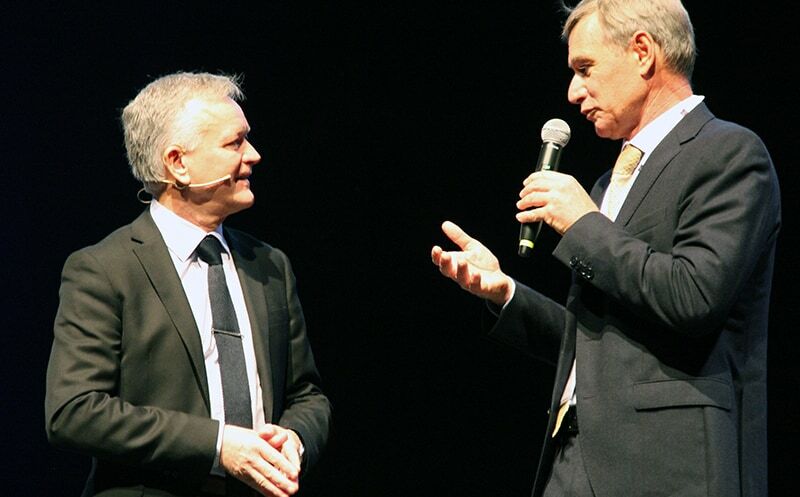 Ian was keen to discuss 3D, but equally keen to emphasise that the technology itself shouldn’t be the driving force. He believes that it’s all about finding the best tools for designing shoes. 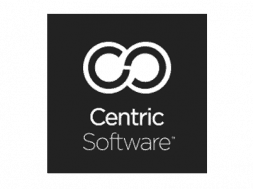 These happen to be software solutions today for several reasons: rendering quality, speed, full enterprise usability and so on. 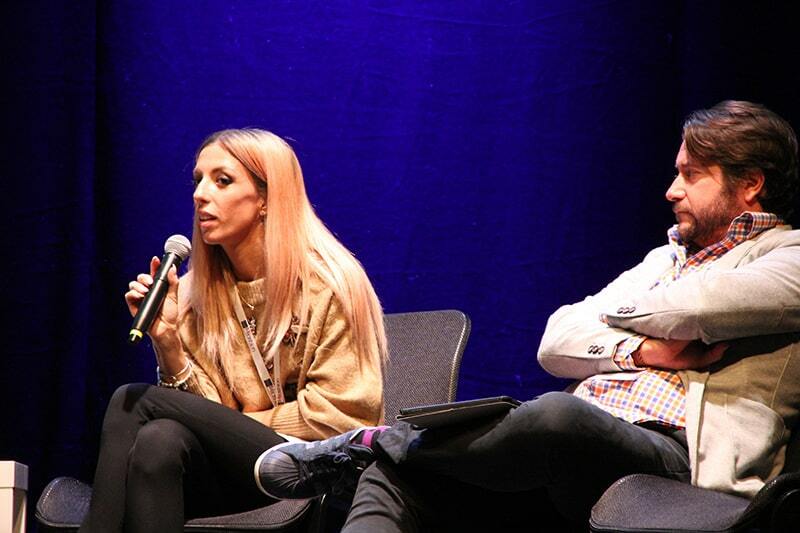 Sara Testa, Virtualisation 3D Artist, Bodywear & Hosiery at Hugo Boss SA, talked about the important of having the correct drape and other materials characteristics. Hugo Boss currently uses Vizoo for scanning, and CLO3D and then Autodesk VRED for offline rendering. For now, Hugo Boss always compares the 3D prototype to the physical prototype, but they’re looking into the possibility of a full 3D workflow in the future. Sara made the point that she feels her title (as a 3D Artist) is vindication that 3D has come a long way into being widely accepted. We then moved onto discussing the development of high-resolution avatars and other 3D product categories (aside from core apparel). Antonio Sgroi, Senior Sales Development Manager at EFI Optitex, talked about how important it is to get soft material rendering and photorealistic avatars right for 3D to be accepted – which meant hardware advancements like dedicated GPUs for the business. He also talked about how essential it is to have an integrated 2D and 3D environment if you’re going to do things like fitting. Alberto Barberis, Co-founder of Protocube Reply then went back to re-iterate how it’s not just about software, it’s about giving the best platforms to the best 3D artists. Protocube Reply offers multiple ways for people to use their 3D assets throughout their companies. This means putting the model on a platform, allowing customers to customise 3D shoes on a website, rendering offline, communications with suppliers and so on. Last but not least, Darren Glenister, VP of Innovation for PTC, discussed other product categories. He talked about how even prestigious watchmakers can use 3D design tools (like CREO) for detailed work like designing watches and adjusting parts. I also pointed him to, and he then told the story of, a watchmaker who’s using 3D design and printing to print titanium parts here in the UK, with total personalisation and a rapid way of introducing new products. As the lively panel closed with a discussion on the near-term future of 3D working in Fashion, my final remarks were that if you accept that 3D is part of the enterprise, and all of the panellists on the stage are part of that solution, we need to find a way to all work together seamlessly, and share data between all solutions in our supply chains. Next to chair was Giuseppe Burschtein, Founder & CEO of Frankenstein – an integrated communication factory, made of editorial contents and marketing projects. Giuseppe was joined on stage by: Nicola Antonelli, Web Project Manager at Luisa Via Roma; Martin Coedo Mestre, Customer Engagement Leader Europe for IBM Watson; Andrea Gobbi, General Director of Alessandro Gherardi; Paolo Calamandrei, Vice President at Ikom; Lorenzo Pretti, Commercial Planning and Strategy Manager for Zalando; Alessio Ughi, Account Area Manager for Epson; and Domenico Clementi, Sales Director of Engineering at Ingegneria Informatica. Luxury fashion brands, explained Giuseppe, have to create an in-store experience that is consistent with that offered by all other channels, in order to deliver a superior customer experience aligned with the pace of modern consumers and brand DNA. 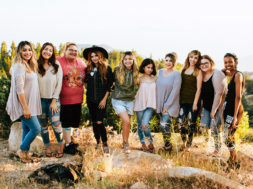 By delivering valuable content and emotionally engaging experiences through an omnichannel strategy, luxury fashion brands can create the advocates of a community, emphasizing congruence between a brand’s values and a consumer’s personality – a key driver of market loyalty. Chairing the discussion on blockchain – not a new term, but one we, at WhichPLM, have begun covering more and more in recent months – was Enrico Camerinelli, Vice President of the Council of Supply Chain Management Professionals. Enrico opened by stating that, while blockchain-based solutions for payments, clearing and settlement still represent the biggest share of use cases, blockchain also has important possible applications within supply chain management. Whilst financial institutions are – and have been – spending a great deal of time and resources on understanding what adopting blockchain could mean, continued Enrico, corporations are much more cautious. Enrico believes that if corporations begin working on blockchain projects it will be for niche applications, whilst waiting for the “big thing” to occur. 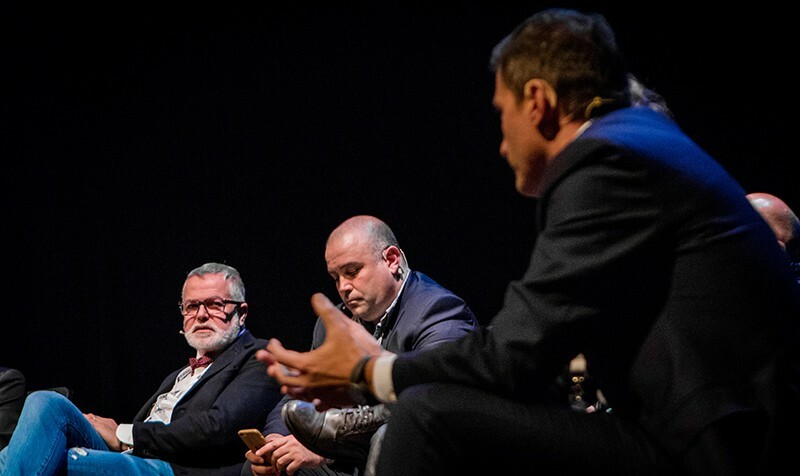 Panellists for this discussion were: Alessandro Greppi, The AvantGarde Group; Emanuele Bertoli, CMO, 1trueid; Giuseppe Pacotto, PYB (Protect Your Brand); and Marco Cossutta, Partner, Reply Consulting. 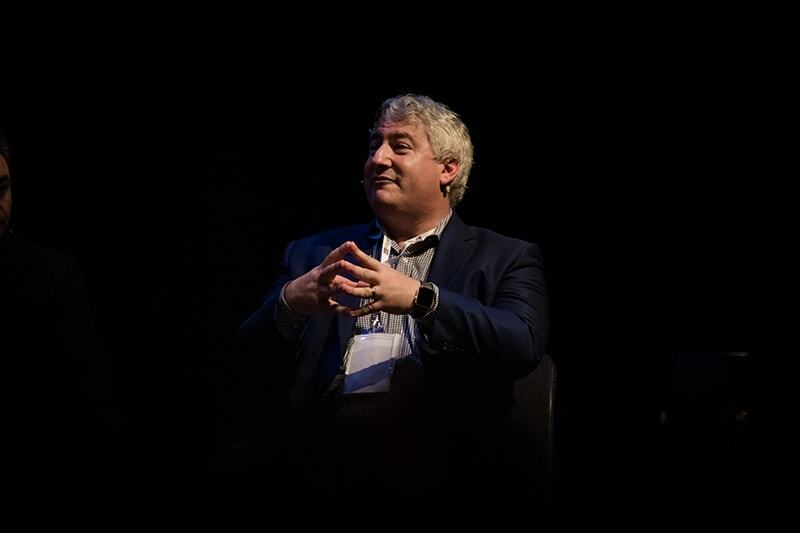 In an interesting move, Enrico projected some questions behind the panel on a large backdrop, and allowed the audience to select those of most interest to them, and to which panellist they would be directed. Not only did this give an element of freshness to the standard panel discussion, but it also stimulated audience participation and gave them some control over the direction of the discussion. 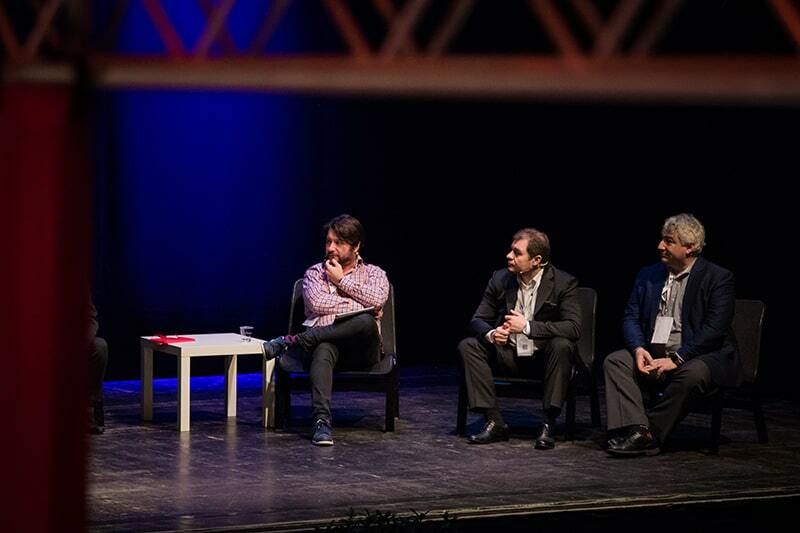 In order to get straight into the discussion, Enrico explained that he had made certain assumptions about the audience’s knowledge of blockchain; instead of spending too much time delving into the concept itself, he dedicated more time to the exploration of it within the industry, and the use cases shared by each panellist. In recent years, began Alessandro Greppi, there has been an increasing interest in the opportunities offered by asset lending – a potential market of more than €559 billion, that is unserved in 80% of cases. The weaknesses in banking and financial systems in Italy, Alessandro continued, result in a lack of innovative services for SMEs in the Italian supply chain. The AvantGarde Group offers – in this specific use case, to the manufacturing segment of Supply@Me – an innovative open platform. The service foresees the sharing of data associated to each single supply chain with an ecosystem of suppliers, in accordance with the European law on data protection, enhancing the provision of focused solutions. Supply@Me represents an innovative technological solution dedicated to a segment of customers that is currently unserved by the banking and financial systems, and it aims to improve the access to credit by triggering new collaboration mechanisms. In another in-depth example, Emanuele Bertoli used the company Alessandro Gherardi, who have set up an Italian-style emporium in Tuscany. Nowadays, shared Emanuele, in the luxury industry, enhancing the value of products has become a very common practice, focusing especially on a product’s quality and authenticity, the supply chain phases and players. 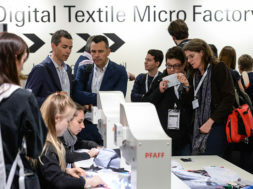 Being aware of the importance of strengthening the relationship with customers through technology, Alessandro Gherardi asked 1trueid to work on the implementation of NFC technology to identify univocally tailor-made Alessandro Gherardi shirts. The main challenges were hardware selection (as tags had to be washable), and finding a proper way to manage producer, resellers’ and customers’ information. 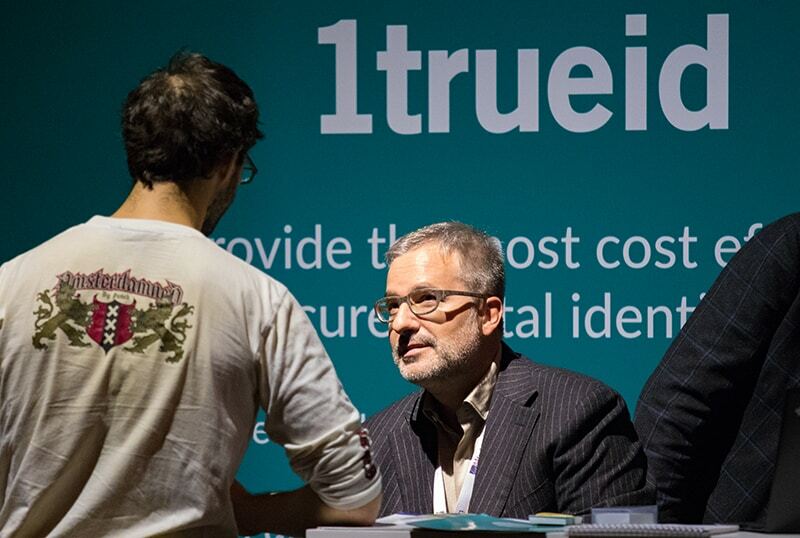 The 1trueid solution is a distributed and secure system that creates and verifies an item’s identity through different technologies (RAIN, RFID, NFC, BTLE, PJM). Thanks to this technology Alessandro Gherardi’s shirt tailoring is digitised to offer a better experience and automatises some processes. The new electronic identification of the shirts is expected to allow every authorised retailer to access, through smartphones and tablets, the history of each customer’s order, technical data and any other useful detail, as well as program the next order completely digitally. The final customer, through a dedicated application, has access to special content, and has the possibility to work on a new shirt by discovering new collars and cuffs for customizing according to personal needs or style. Speaking on the consultancy side was Marco Cossutta of Protocube Reply – a company specialized in Consulting, Systems Integration and Digital Services with a focus on the conception, design and implementation of solutions based on the new communication channels and digital media. The business covers three areas of competence: processes, applications, and technologies, and achieved in excess of €780 million last year. 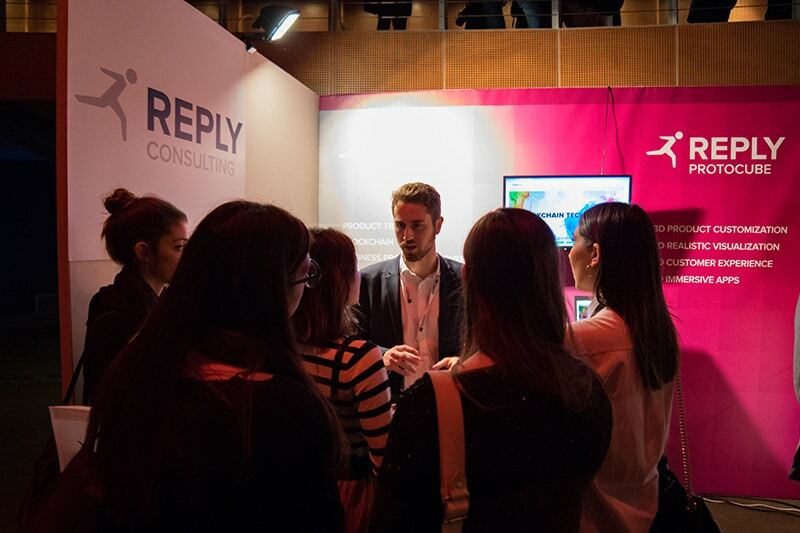 Reply, explained Marco, invests heavily in new technologies and paradigms, and has one of the most active, visible and respected blockchain practices in the industry with a number of cutting-edge opinion pieces published in industry journals, and multiple real-life blockchain applications developed by their in-house blockchain development teams. Having the deep knowledge of the technology together with experience of developing proofs of concepts for clients is a key differentiator and unique selling point, and a rarity in the industry. Since 2014, Reply has started an interfunctional Competence Centre in order to research blockchain technology and provide a dedicated blockchain offering. 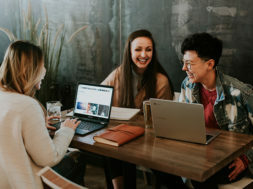 The Reply Competence Centre operates in different countries (Italy, UK, Germany, France, Benelux) and multiple industries (Banking, Insurance, Media, Energy, Retail, Healthcare, Real Estate, Public Administration, Automotive, etc.). 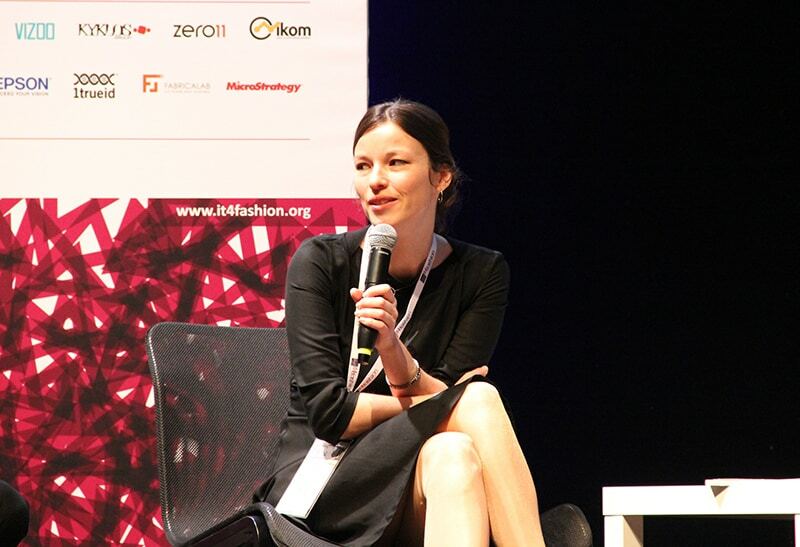 The activities of the Competence Centre include: in-depth research on technological and business impacts; ongoing market monitoring; the development of ten end-to-end software solutions, or blockchain accelerators, which exploit a wide range of blockchain protocols and technologies; active partnerships in roundtables – like at Dig.IT4Fashion. Marco ended by talking about the Reply 4Retail accelerator – a ready-for-customization software component that combines value chain management primitives and integration capabilities with different blockchain fabrics, like Ethereum, or Hyperledger Fabric. 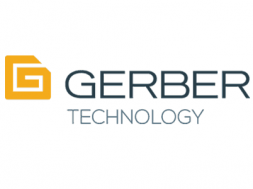 Marco discussed this in great depth, but the resulting solution is a blockchain software solution that works online, and provides a web application coupled with a mobile application for final customers. Overall, the group succeeded very well in creating awareness around numerous blockchain features and technology enhancements in textiles and fashion. They debated some common assumptions to establish the true potential of blockchain in our supply chains. 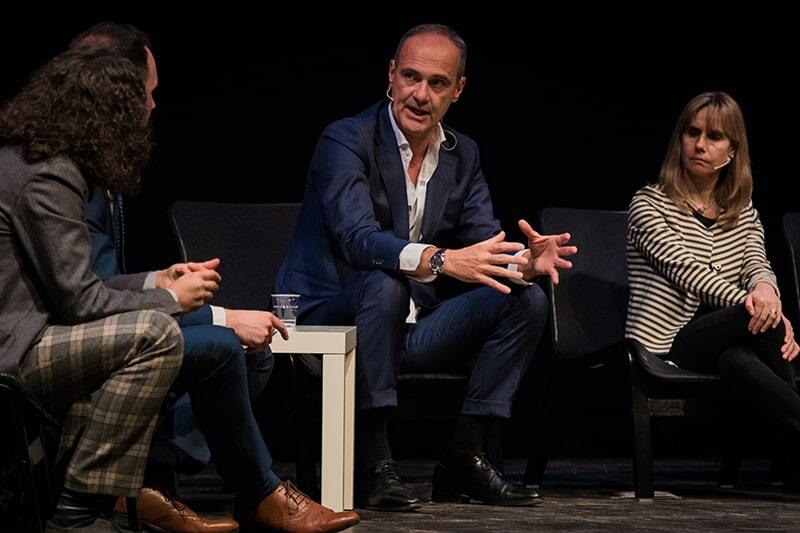 When speaking with Enrico afterwards, he explained that, due to the intricacies of the technologies and use cases discussed by the panellists, he felt that some might have been difficult for the audience to truly grasp. To combat this, once the panel had concluded Enrico actually volunteered (during a break) to remain on stage to give his well-rounded explanation of blockchain, what it is, and how it works. This gave Enrico the opportunity to share his ‘tutorial’ on blockchain, and of the possibilities of using blockchain within the various organisations around the room. This was a very wise move on Enrico’s part, as a vast number of people actually know very little on the subject – or, know less than they might think. Enrico was greeted with many raised hands upon asking his audience, “how many of you understand what blockchain is?” But the number of hands lessened when he followed up with, “and how many of you are able to explain it to your grandmother?” That’s how you know, Enrico explained, if you truly understand something. Closing the day was the round table discussion on data intelligence, chaired by Ben Hanson, Industry Analyst, and Ex-Editor and frequent contributor of WhichPLM. Ben was also responsible for a great deal of research behind our recently published 7th Edition Report, centring on intelligence, so was armed with a host of questions and topics for his panellists. Sitting on this panel was: Tiziana Nunno, Industry Head Fashion Luxury for Google; Francesco Coccia, Manager at Technology Reply; Andrey Golub, CEO & Founder of ELSE Corp; Ferdinando Iavarone, Sales Engineer at MicroStrategy; Federico Bissolotti, Analytics Sales Manager for IBM; Darren Glenister, VP of Innovation for PTC; and Jonathan Epstein, SVP at Sentient Technologies. Tackling a broad topic covering big data, analytics, BI, machine learning, deep learning, and AI (Artificial Intelligence), this panel was a combination of data scientists, PLM professionals, AI experts and more. 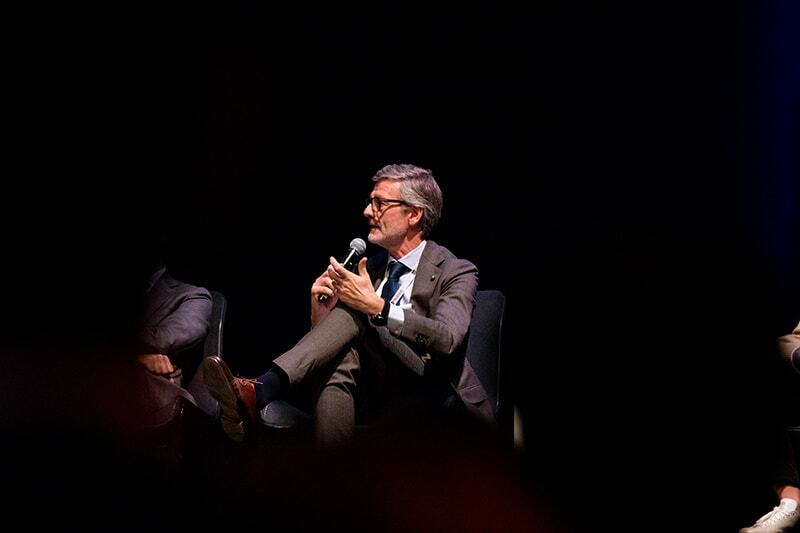 The discussion was devoted to understanding the importance of intelligence in fashion. Ben commenced by stating that, from consumer engagement to the extended supply chain, fashion is generating increasing volumes of raw data. The cornerstone of digital transformation is figuring out how to turn those real-time feeds into usable information that will, in turn, allow brands and retailers to meet market demands and differentiate themselves from their competition. Federico Bissolotti is responsible for technology giant IBM’s analytics business in six different industries, including fashion, retail, and consumer packaged goods. As the founders of “cognitive computing” (which encompasses AI, machine learning, and other critical aspects of business intelligence and data governance), IBM have extensive case studies that Federico used to articulate the value of advanced intelligence. Federico believes strongly in the value of AI for non-technical users and businesses, and he talked about the merits of conversational interfaces, consumer engagement, and other ways in which IBM’s Watson AI can help brands and retailers obtain maximum value from their digital information. 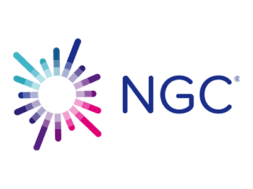 Francesco Coccia works as Business Unit Manager for Technology Reply, one of the specialised businesses that sits underneath the Reply umbrella company already featured in this report, which focuses on supporting large industrial organisations through various elements of digital transformation. The Reply group tackles topics like big data, cloud, social media, the IoT, and blockchain, and Francesco specifically works on building the distributed, data-driven architectures that will drive the future of fashion from both the end user and business process sides. Francesco talked about how, in a world overwhelmed by raw information, machine learning is transforming design, development, retail, and consumer experiences. A senior figure at Silicon Valley-based AI leaders Sentient Technologies, Jonathan Epstein, explained Ben, works at the bleeding edge, where academic theories around machine learning are put into practice in several different industries. Jonathan holds a degree in Physical Sciences from Harvard, and has a background in entertainment technology-led media, marketing and consumer engagement, having been involved in the setup and ongoing operations of several successful companies. Jonathan provided for the audience insights into how machine learning can help fashion businesses – faced with more rapid changes in consumer demand than ever before – to embrace a culture of experimentation, and how the world-changing potential of Artificial Intelligence can be anchored in applications right here, right now. 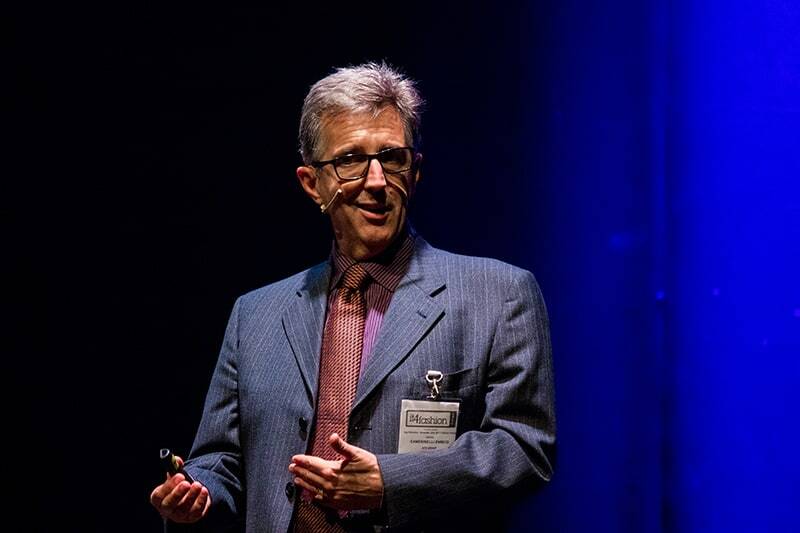 Darren Glenister, who was also a panelist in my discussion and has decades of experience, is responsible for PTC’s Retail Internet of Things, or IoT, strategy, and spoke about the huge number of potential sources of information available to any brand or retailer, as well as the importance of oversight, monitoring, transparency and control in creating a connected information environment fit for the future of fashion. Andrey Golub, Founder & CEO of ESE Corp, also shared his wide-ranging experience with the audience and presented his case for the data-led future of fashion. From predictive analytics to virtual reality, Andrey has been involved in developing integrated digital strategies for fashion since 2014. 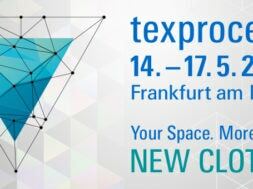 Currently, Andrey, his team, and several key software companies and universities are developing what they call the “Real Time Fashion System,” which blends 3D virtualisation, AI, blockchain, and other cutting-edge technologies into a new approach to the entire design, development, and distribution process. Ferdinando Iavarone blends a background in physics with a passion for data visualisation. From satellite data to retail storytelling, in his role at MicroStrategy he has worked to build innovative use cases for analytics, mobility, and “identity intelligence” for fashion and retail clients. He spoke about the ongoing evolution of the Business Intelligence and analytics market, and how today’s technologies offer more possibilities than ever before to a wider range of end users. Finally, Tiziana Nunno shared how luxury businesses can manage the transition from being creatively-led to being data-driven, with their strategic directions informed by intelligence. As Industry Head of Luxury and Fashion for Google’s Italian operations, Tiziana supports the most important Italian luxury brands in building digital communication strategies designed to engage some of the world’s most discerning customers. This panel was victorious in charting the changes that have shaped the way fashion and digital technologies intersect, and weaved in the challenges that come with consumer engagement, competition, time to market, transparency and marketing. 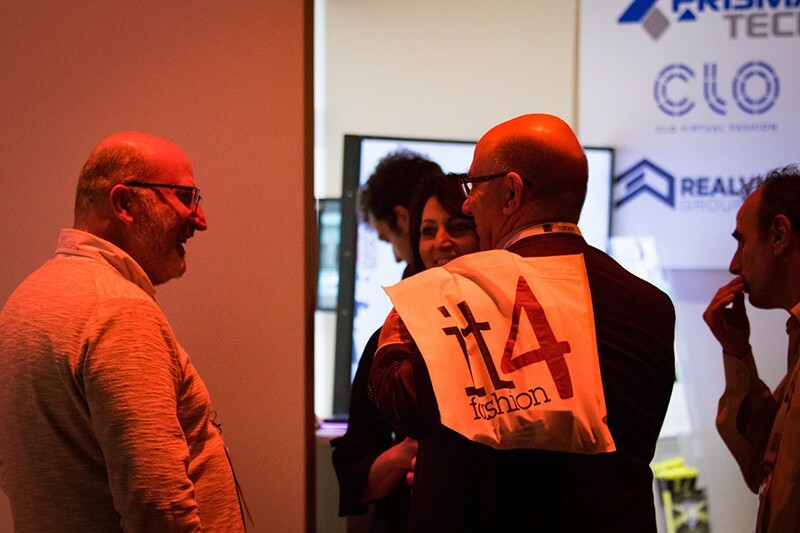 Dig.IT4Fashion, in its third edition, was a meeting point between industry experts, solution providers, marketing departments, retail managers, and digital experts. With more than 20 featured sponsors from the technological world of fashion, and some huge names (the likes of Google and IBM, mentioned above) participating in panel discussions, the event certainly succeeded in covering a myriad topics and technologies. And covering them well. It was an honour to be involved, and I look forward to seeing what the fourth Dig.IT4Fashion, and the eighth IT4Fashion, events have in store. next Automation & Design: are you safe?